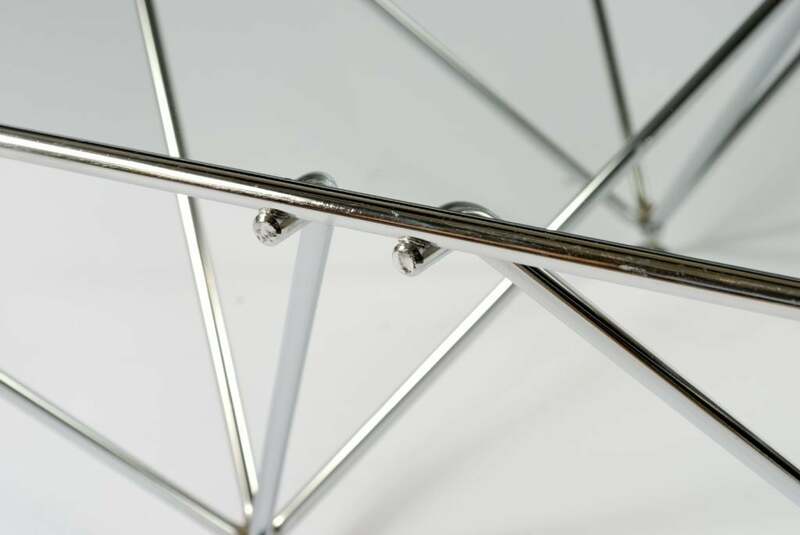 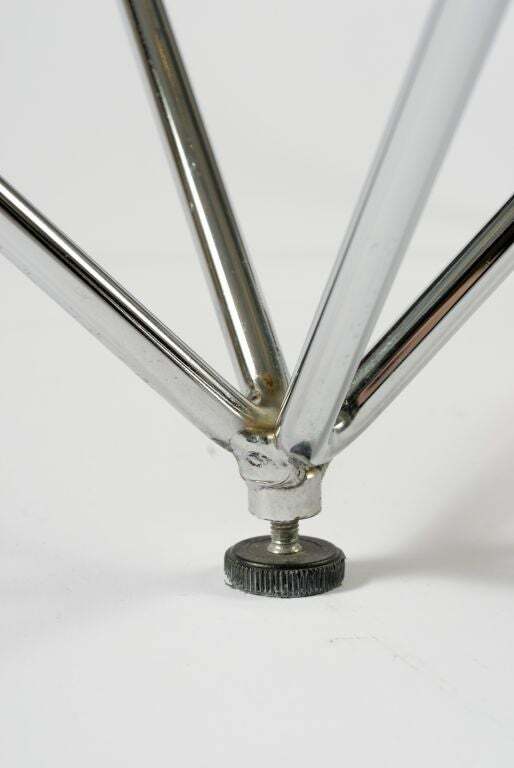 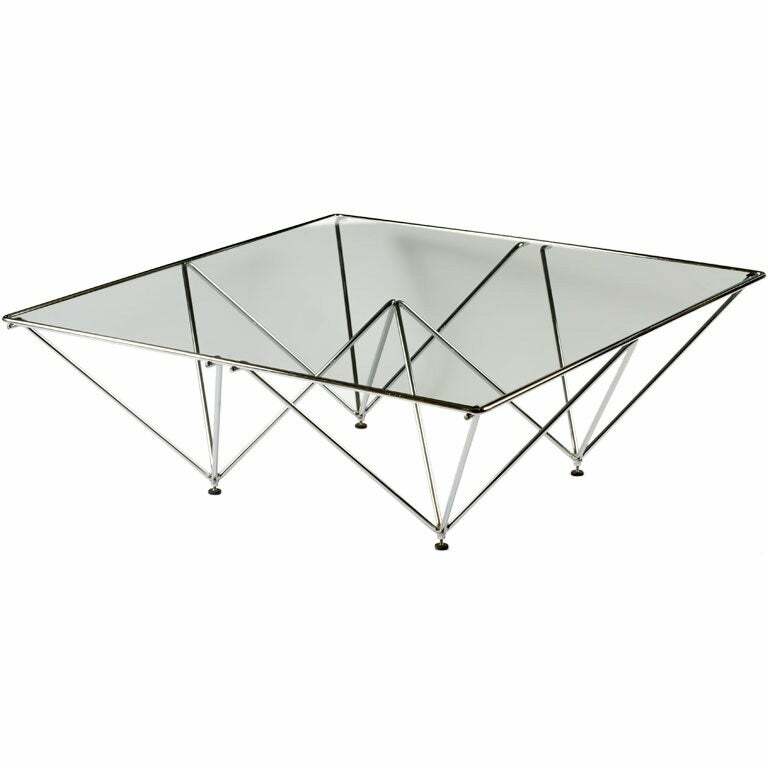 Supported by chrome metal structures shaped as inverted pyramids, this table has a clean and light look. 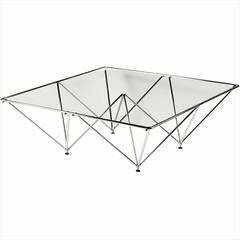 Evocative of a Paolo Piva design, at an affordable price. 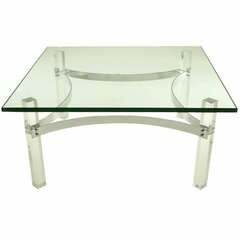 Chrome & Lucite Canted Leg Coffee Table After Charles Hollis Jones. 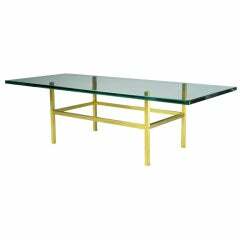 Chromed brass coffee table by Leon Rosen for Pace Collection, comprised of intersecting X-forms and a 42" square glass top. 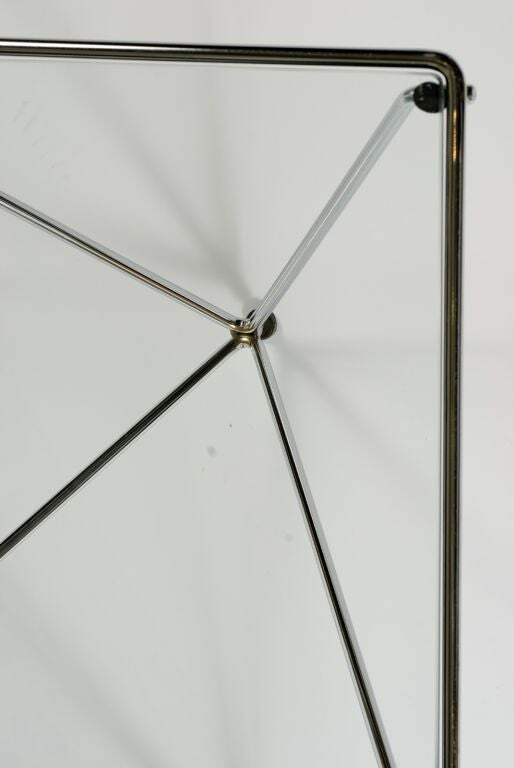 Also shown with a 42" round top for comparison. 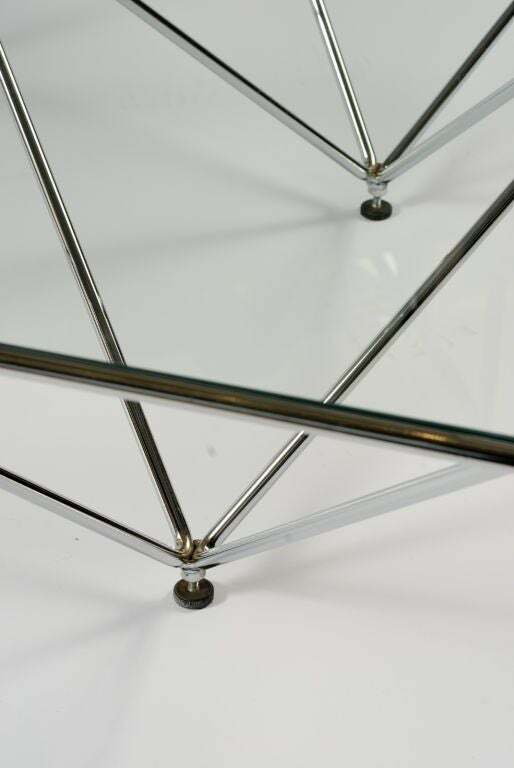 Iconic “Alanda” coffee table by Paolo Piva for B&B 1981. 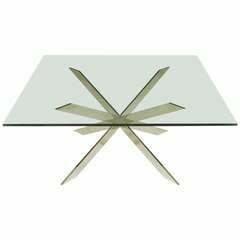 Both the base and glass top are in excellent condition. 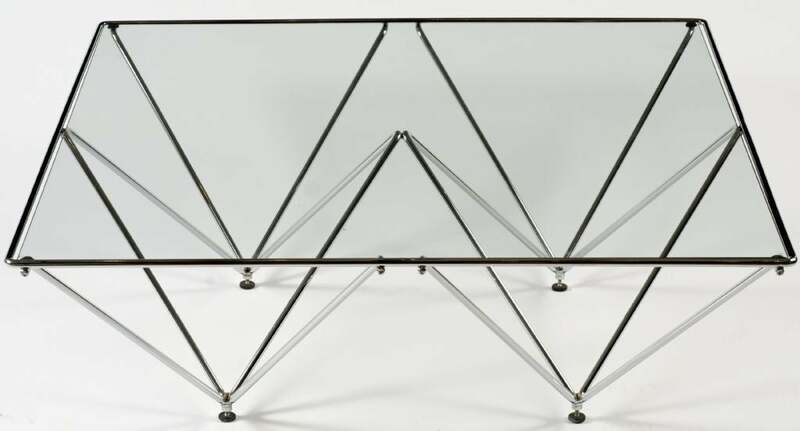 Iconic wire framed and glass topped 'Alanda' coffee table by designer Paolo Piva for B&B Italia, 1981. 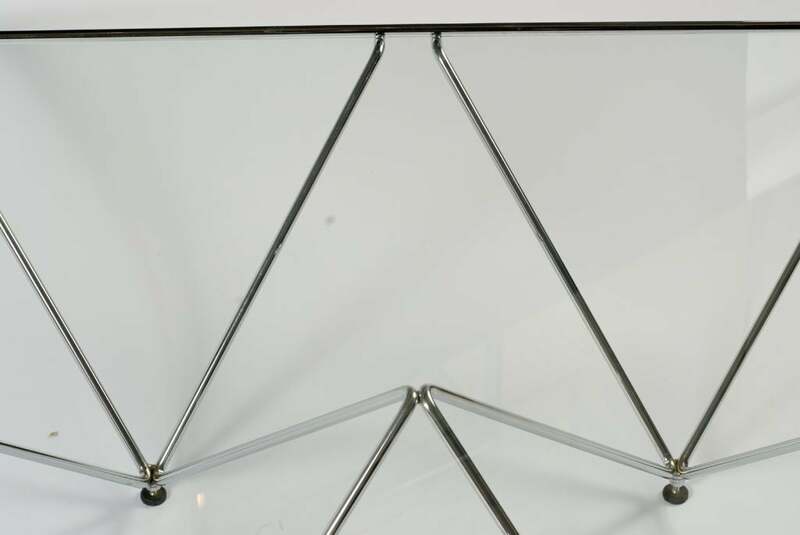 The frame is in great condition and the heavy plate glass is new.